About 100 European Parliament lawmakers representing a diverse collection of views including environmentalists, center-rightists, liberal democrats and socialists have penned German Chancellor Angela Merkel an open letter urging her to abandon the Nord Stream 2 gas pipeline project. "We ask you, Madam Chancellor, that your government reconsiders and changes its policy on Nord Stream 2," the letter, which was also signed by another 20 politicians from various EU member states, says. Accusing Berlin's position of contradicting the goals of the European Energy Community and ignoring the interests of Germany's partners, the letter claims that Berlin's stance effectively "gives Russia additional strategic levers of influence, because it [Nord Stream 2] increases the EU's energy dependence on Russia." Telling Merkel to "let Russia's President know that Germany will stand by its EU partners," the letter urges her to "choose the European way, not the 'Germany first' way." The letter goes on to criticize the German government for "ignoring the security concerns that the countries around the Baltic, NATO and the United States of America have been warning against." Accusing Merkel of "acting shortsightedly" and undermining the principle of EU solidarity, the letter claims that the German "government is not following the right priorities" and urges her to "please, do change course!" The Nord Stream-2 project envisions the construction of two new gas pipelines with a total capacity of 55 bcm per year between them, and, when completed, will double the capacity for Russian natural gas supplies running through the Baltic Sea to 110 bcm per year. A joint venture between Gazprom and a group of Western European energy concerns, the pipeline is being built through the territorial waters and/or exclusive economic zones of countries in the Baltic Sea including Russia, Finland, Sweden, Denmark and Germany. Copenhagen has yet to give its go-ahead for Nord Stream 2's construction, with pipeline operator Nord Stream 2 AG mulling options for bypassing Danish waters. The German government has repeatedly indicated that it does not consider Nord Stream 2 to be in the realm of politics, and as strictly an economic project aimed at increasing Germany's energy capacity. Numerous experts have calculated Russian gas to be cheaper and more dependable than alternatives, including LNG from the United States or imports from the Middle East. 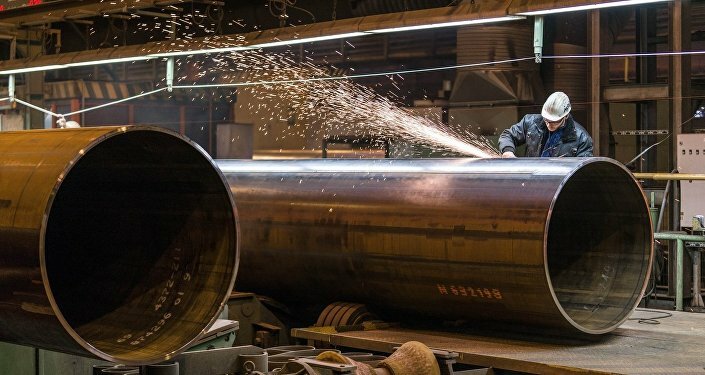 On Wednesday, German minister of economic affairs and energy Peter Altmaier reiterated that the German government "considers it right and necessary to implement Nord Stream 2," adding that Berlin also considers it is in Ukraine's "vital interest" to remain a transit state, and that these interests should also become those of Germany and Europe as well. 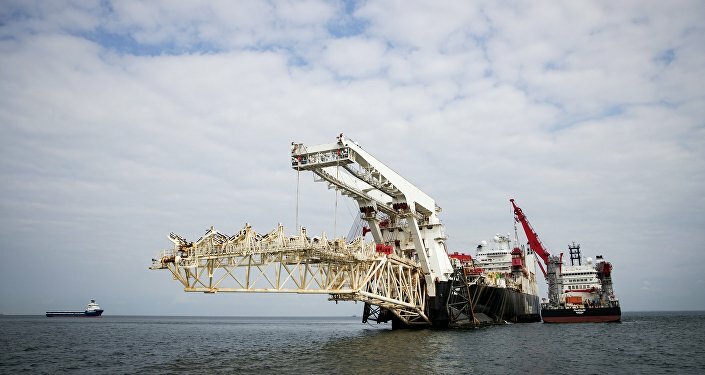 Before the start of Nord Stream 2's construction, the Ukrainian government voiced concerns that the pipeline could deprive it of several billion dollars' worth of income from transit earnings.